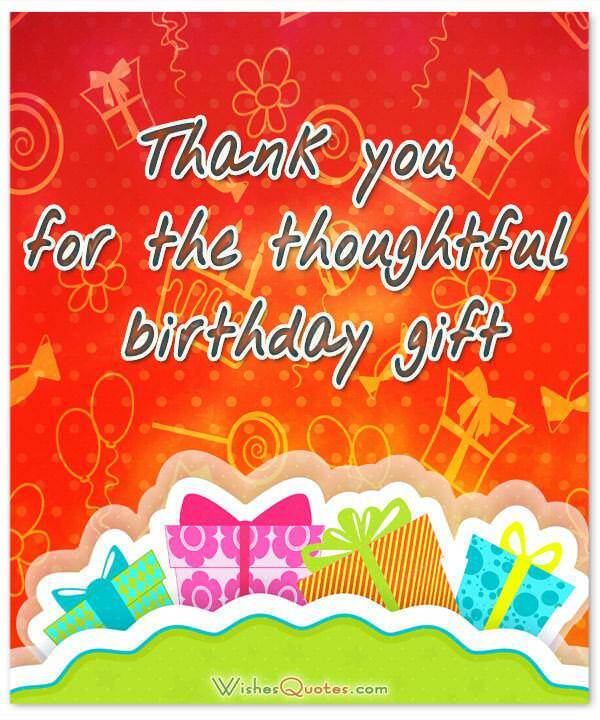 When someone sends you a gift or present for your Birthday it is considered polite to reply with a note or thank you notes. If they have taken the time to find and choose you a gift before spending their own money on it then responding with a simple note is only fair. It doesn’t have to be particularly long or verbose. Just something acknowledging the effort they have put in and thanking them for it. But knowing exactly what to say is where problems may arise. Although the note only has to be short it can still be difficult getting the wording correct or finding the words to express the way you feel. Some people are just not very good at putting their thoughts into words on paper, and if that is the case then the examples below should give you some good ideas of the sort of things to say. 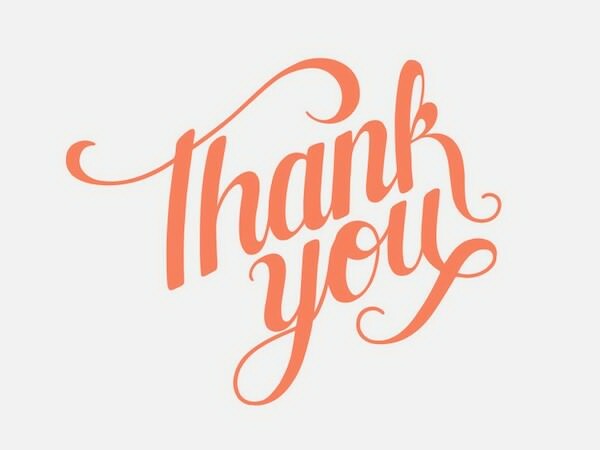 Alternatively if you find a thank you note in the many below that you feels fits precisely what you want to say then please use it as it is. I just wanted to make sure to let you know how much I love the gift! It is perfect! You know me so well. What a gorgeous birthday gift! 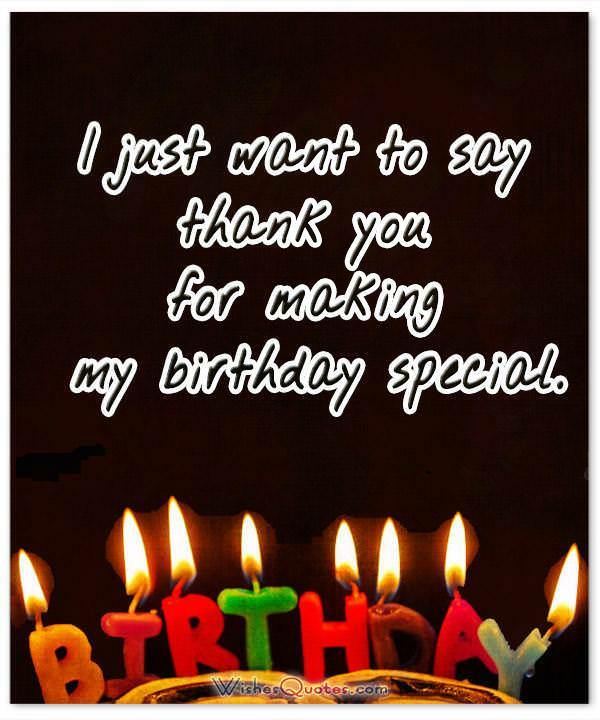 Thank you so much for taking the time to help make my birthday extra wonderful. What a wonderful surprise! Your generosity overwhelmed me in the best of ways, and I am so thankful for the great gift! My birthday was already great because I saw you, and then you surprised me with that fantastic gift. I am so grateful. Your gifts to me are always so thoughtful and fun. You did it again this year! Thank you. Your creative side really showed in the artistic gift you chose. You know how much I love that! I hope you know how much your gift means to me. It made my heart so happy that you thought of me. Your generosity for my birthday blew me over. I am still happily stunned about it. Thank you! My birthday was just a usual day until I saw your gift to me. It made my birthday this year so special! You gave me such an amazing present that there are not enough words in the world to thank you. The color was my favorite, the fabric so soft, and the fit is just perfect. Thank you for thinking of me on my birthday. When I woke up on my birthday, I was excited, but I had no idea just how exciting the day would become. I love your gift to me! All birthday presents are wonderful, but yours really made my day! Deepest thanks, my friend. So grateful for all you have ever done for me, and for your gift on my birthday. It was a very happy birthday, indeed, and you are a big part of the reason for that. Thank you for your gift. Thank you for taking the time to make my birthday so fun this year. I love the gift! You have such a knack for choosing the ideal gifts for me. Thank you for everything. Thank you so much for going all out for my birthday. What a wonderful gift! I shall cherish it for many years. 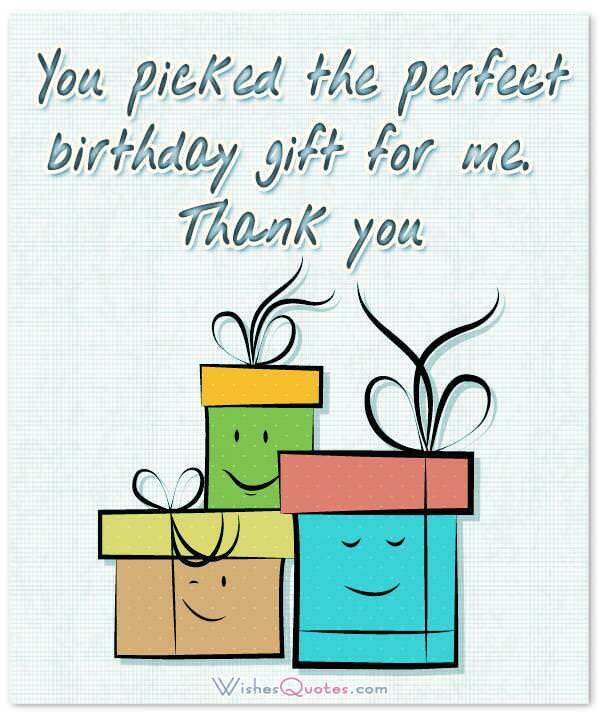 Your gift to me was the perfect blend of thoughtful, practical and beautiful, and I am so grateful. My home’s decor really needed something to warm up the ambience. Your gift was perfect. You are always so generous and kind. I loved your very thoughtful gift, and I appreciate you.